Why did I buy these? What am I going to do with these? Anyways, the Young and Swisher at the end are "Silver" and "Gold" parallels... so there's that... some of you are going to start getting surprises in trade packages! Maybe I should throw the Swisher at Chris Olds and see if he still thinks Topps does nothing but make awesome products... hahahaha... just kidding Chris, don't unleash the Beckett mafia on me. I have a few of these and am definitely interested I the Swisher !! Will find something to send your way! Your gonna have use them in penny Poker !!! Not even one Tiger !! How would you even store these? 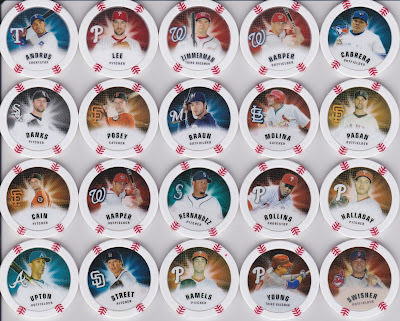 It's okay that Topps tried something different, but after buying a couple of packs I wasn't very impressed with them. I don't think I will be buying any more. I got about five packs, that maybe it. I've yet to see any players I like in this set. 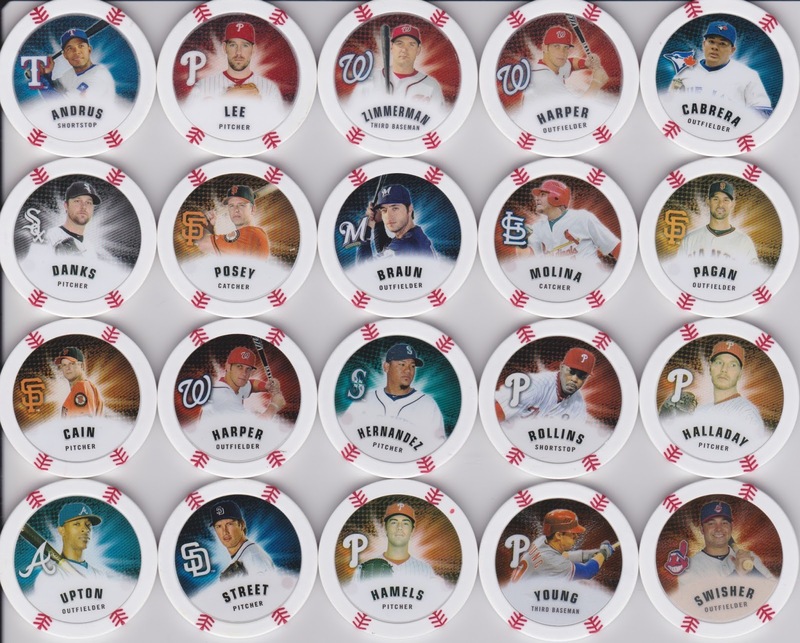 I think they are a neat oddball item for a player collector, but I can't see why anyone would care to collect the set.